Oysters are a treat of winter — here's where to get some of the best ones in NYC and where they come from. Oysters, like revenge, are a dish best served cold—harvested cold, too, it turns out. While the eating of oysters might trigger some warm feelings, the best harvest times are anything but. The old months-that-contain the-letter-R-rule is something of a myth: "They're usually considered to be oyster season because it’s winter and oysters prefer cold water,” according to the executive sous chef at The Grand Central Oyster Bar & Restaurant. When the water gets too warm, oysters get frisky and instead of eating all day and getting big — just like you in winter — they preserve their energy for spawning. 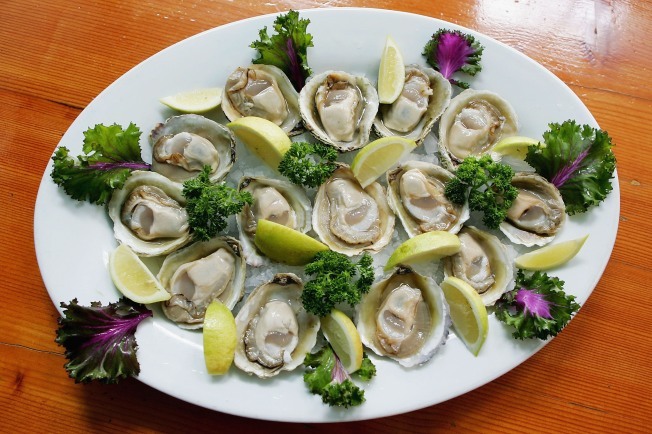 While The GCOB serves over 32 kinds of oysters from around the world, the chef enthusiastically recommends the Totten Virginica oysters from Washington State. These little guys are native to the East Coast and are transported to the waters of Totten Inlet as “seeds” and were recently recognized by the East Coast Shellfish Growers Association.